This church, as probably many others all over the country, has seen decisive events in the history of this nation. A king was crowned within these walls when he was just over a year old; a baby still. The Protestant Church of the Holy Rude (founded at 1129) was the stage where the son of a Catholic mother, a child christened in the Catholic faith, was made King of a Protestant Scotland. His mother did not attend. The queen, the ill-fated Mary Stewart, was held captive in Lochleven and after a miscarriage of another child was forced by Scottish lords to sign the Act of Abdication in favour of her son James. 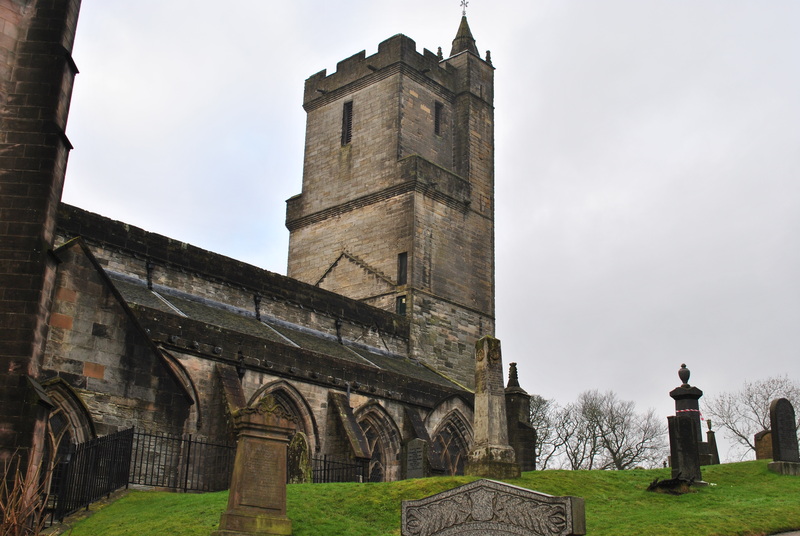 He, James VI of Scotland (and later James I of England), was crowned in Stirling in this very church, right in the middle of the graveyard on 29th July 1567. 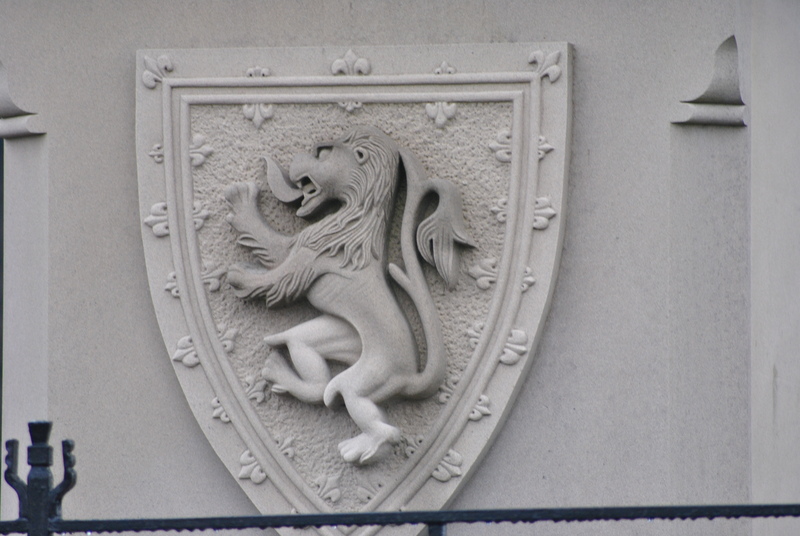 Young James spent most of his childhood at Stirling castle under the guardianship of the Earl of Mar and his wife. It was not a happy childhood. The boy must have missed a mother’s care and tenderness. Whom could he trust? Where could he turn for comfort? His formative years must have been cold and dreary, very hard for a boy who most certainly had a romantic disposition just like his mother, the mother he never saw. 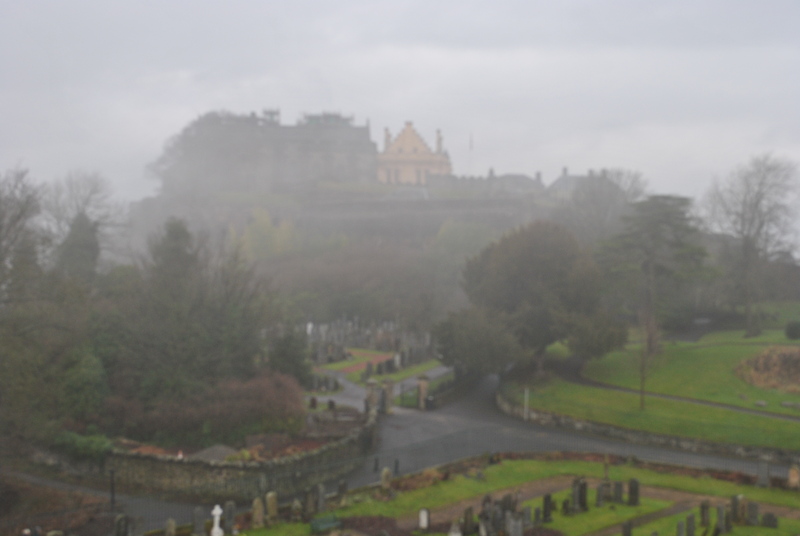 How often did he stare outwards, towards leaden Scottish skies, sad and lonely? 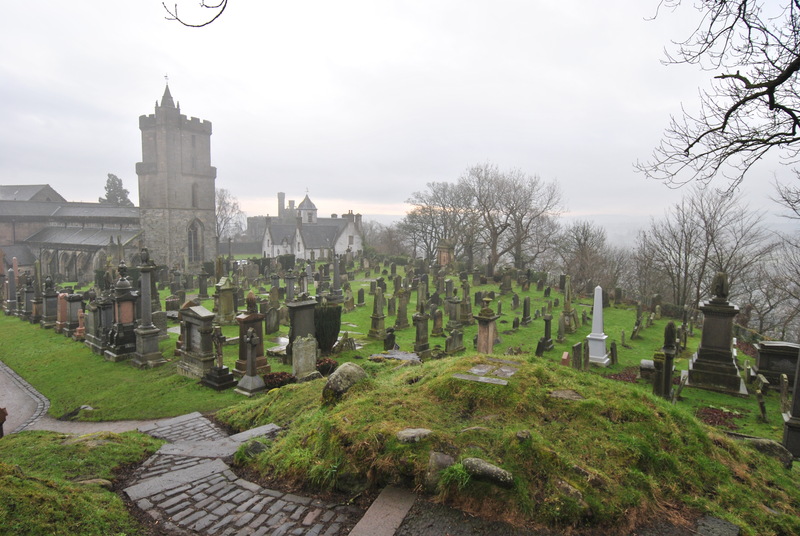 Did he walk among the headstones of Stirling graveyard thinking? A sad wee boy who did not become a happy King. 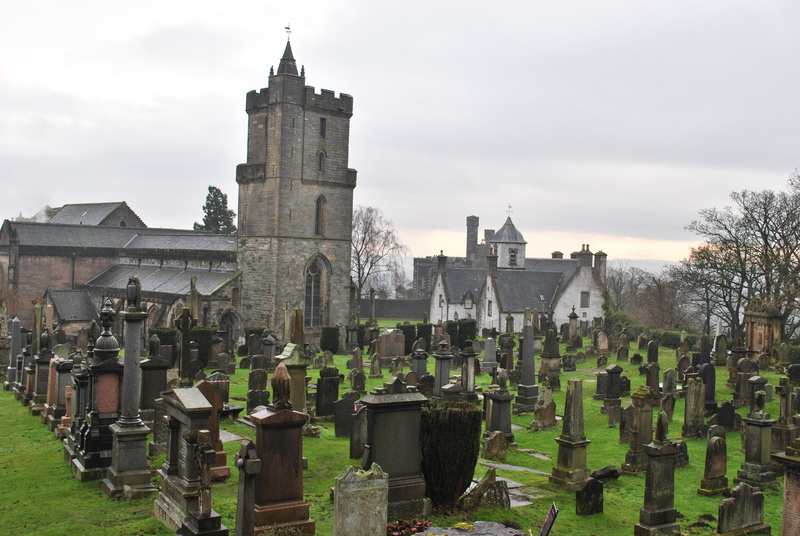 James VI spent his early childhood here and would have seen a few of these gravestones, the earliest date back to the 16th century in the original Holy Rude churchyard that is now part of the Old Town Cemetery of Stirling.